This week Internet was full of interesting security resources and I did my best to collect the most important ones! Here is my collection of the best security resources of this week. 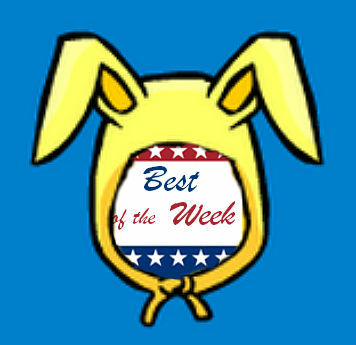 This is my "Best of the Week" post and here you can find the most intriguing security articles I found on the net this week. 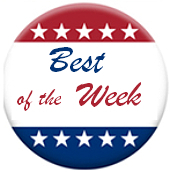 Here we are for another post of the "Best of the Week" series in which you will find the most interesting security news and security resources of the week. This week, for some "logistical" reasons, I had to publish my "Best of the Week" a day in advance. Luckily, I had already gathered a lot of interesting security materials that you can read below. Preparing the presentation for my speech at the RSA-Day, I collected these security articles and resources. Limor S Kessem ‏@iCyberFighter Hacking Google: The three Israeli white hats rooting out the web's security holes http://sns.mx/SSkqy5 << Good read! If you missed some security resoures this week, this is the right place for you. Summer holidays are still going on but many things happened in the security field this week... this is my selection. Here we are again with the best security resources of the week. This time we cover the following subjects: Gauss, guidelines, report and mobile malware. This week I chose to focus my post on security tools so, here you can find a selection of interesting and useful tools regarding: AET, incident response, botnet, app scanners, nmap, pwd cracking, and three different security scanners. In this post of the "Best of the Week" series I report some pieces of information regarding: incident response, cloud security, OpenDNS and ISO27001. Rafal Los ‏@Wh1t3Rabbit The *full* (and lengthy, sorry) analysis of the recently released FFIEC guidance on #cloud computing - http://ow.ly/ckHQm is posted. This week, my "Best of the Week" post covers the following subjects: evolution in crimeware, Dark Web, consequences of databreaches, financial malware and frauds. Here we are with the new "Best of the Week" post; in this issue you can find: infosec slides, stories of young hackers, botnet and DDOS and Russian censorship. This time, for my "Best of the Week" post, I have picked news about: data breach, a new proposal on DNS, anthropology and hackers, government malware, botnet and, finally, GPS jammers. Web application security, cyberwar and hackers, these are the subjects of my current best of the week post. Mikko Hypponen ‏@mikko "WAT" - a 3-minute lightning talk by @garybernhardt. https://www.destroyallsoftware.com/talks/wat Worth watching for by any developer. Stefano Di Paola ‏@WisecWisec “@skeptic_fx: Lol ! Real fun to read :) OWASP's how to write insecure code ! https://www.owasp.org/index.php/How_to_write_insecure_code” //nice idea! This week I selected four papers and four videos for my best of the week post. The subjects are: application security, APT, hackers, mobile security and forensics. Jeremiah Grossman ‏@jeremiahg RT @troyhunt: paper from @whitehatsec, "Website Security 101" is a great intro resource to basic webappsec: https://www.whitehatsec.com/assets/WPweb1010607.pdf < thanks! xanda ‏@xanda RT @joncallas: iOS Security Guide out from Apple: http://goo.gl/nz9Fw Contains high level description of many iOS things. thanks! Cyberwar, destroying Internet, cyber-theft, botnet and monitoring of open sources, these are the subjects I chose for my "Best of the week" post. So, no more words, here is my selection of the best security resources of the week. @raistolo Oh, dear: https://code.google.com/p/malware-lu/wiki/en_analyse_herpnet #botnet #fail. To the authors: don't worry, it's not a honeypot. Italian police doesn't have a clue. As always, during this week I gathered on Twitter the security news items that I considered interesting, then this morning I evaluated them and picked the best (for me). So, here's my new list of the best security resources of the week. Here is my new list of the best security resources of this week. As always, many security news were published this week, here you can find my selection of the best ones. I would like also to bring to your attention the publication of the slides of my presentation at CeCOS VI, the annual meeting organized by the Anti-Phishing Working Group (APWG). In that so interesting event (sadly), there were only two people to represent Italy, Raoul Chiesa, the CyberDefcon principal, and me. Raoul gave a presentation titled "The soul of cybercriminals" based on his work on Hackers Profiling Project and I presented the current situation of cybercrime in Italy. CeCOS IV was a real success that gave the possibility to all the participants to establish new contacts with experts and professionals coming from many different countries and to have new information regarding the important trends in the cybercrime scenario. After my participation in CeCOS VI in Prague I have a lot of interesting pieces of information to share so in the next week I'll write something about those that have struck me more. For now, I'm sharing with you my usual selection of the best Internet security resources. As every sunday morning, I'm publishing my list of the best security resources of the week. Finally, I want also to remember to my readers that next week there will be CeCOS VI, an interesting conference organized by APWG in Prague. I will give a presentation titled "A vision on cybercrime in Italy" so here, next week you 'll be able to find my slides. * Toward a Universal eCrime Taxonomy for Industry and Law Enforcement; by Iain Swaine, Ensequrity. * Budapest Convention on Cybercrime: Transborder Law Enforcement Access to Data; by Alexander Seger, Director of the Data Protection and Cybercrime Division of the Council of Europe. * Adventures in Cybercrime Event Data Sharing; by Pat Cain, AWPG Resident Research Fellow. Here's my list of the best security resources of this week. @sicert Ransomcrypt infecting users in .si. Uses 8-byte xor to encrypt files and demands 50 € payment. Several versions, different keys. Here we are... another holiday and another special edition of the "Best of Week" series. Below you can find my selection of the best security resources of this week. Hope you enjoy my selection of "real" security resources of this week. @ryanaraine your april fool's joke is wack. stop it.